I love Amazon Prime, and not just for the free 2-day shipping. As we have been talking about before, you can stream loads of movies and TV shows from Amazon Prime for free! 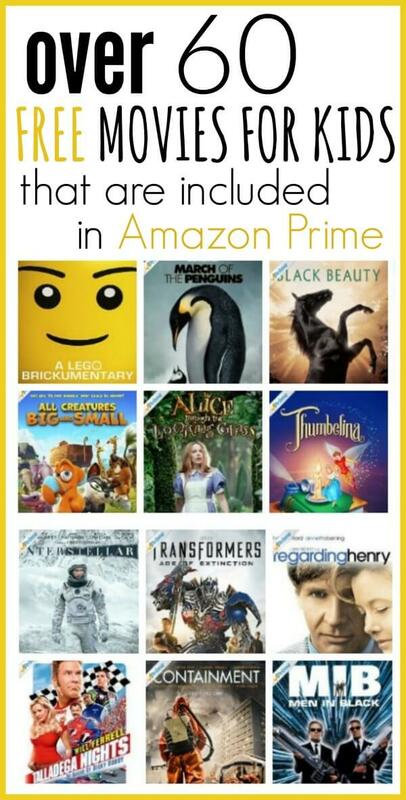 Today I want to share with you the best FREE Amazon Prime movies for kids. Whether you have little kids that only watch G rated movies or bigger kids that can handle PG-13, you’ll find a ton of great movies for FREE. If you aren’t yet an Amazon Prime member, you can sign up for a FREE 30 day trial. I have been an Amazon Prime member for years and it seems like the benefits get better and better every year. It is worth every penny. I feel like I always get a ton of benefits from this. I love having access to so many free movies. It can add up purchasing movies for traveling and this is so handy. I love having movies they can watch as we travel, at the hotel and more. These are also perfect for family movie night. We have a tradition where each child gets to choose the movie for family movie night. We always have popcorn and sometimes we make Easy Homemade Caramel Popcorn Recipe. Plus, each child also gets to pick one special snack to go with the popcorn. So, it’s a huge deal around here. The kids get so excited when it’s their turn to select the movie and the special snack. Curl up with a blanket and your favorite snack for a fun movie night. This is also great if your kids are having a sleepover. The kids can choose a movie, throw in a few snacks and you will be set. This feature truly is so nice. I love having movies that are readily available. This also is handy if you have children that are under the weather. They can watch their favorite movie and rest. So convenient and simple. You will absolutely love having so many movies at your fingertips. 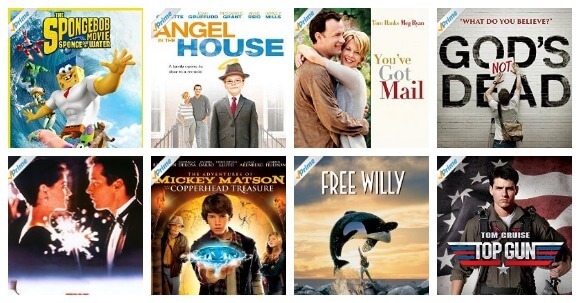 In order for you to find the best kids movies on amazon prime, we’ve broken them up by category. They are easily sorted by G, PG and PG-13. Just click on the link and it will take you straight to the movie. If you have children of various ages, this is handy to quickly sort each category. You may want to keep this post handy so you can just click on what you are looking for each time. Check out all of the G rated free Amazon Prime movies here. They have tons more options! See more great PG movies for from Amazon Prime here. Remember, they’re all free with your Amazon Prime membership. Such a cool perk! Find even more PG-13 movies for free from Amazon Prime here. 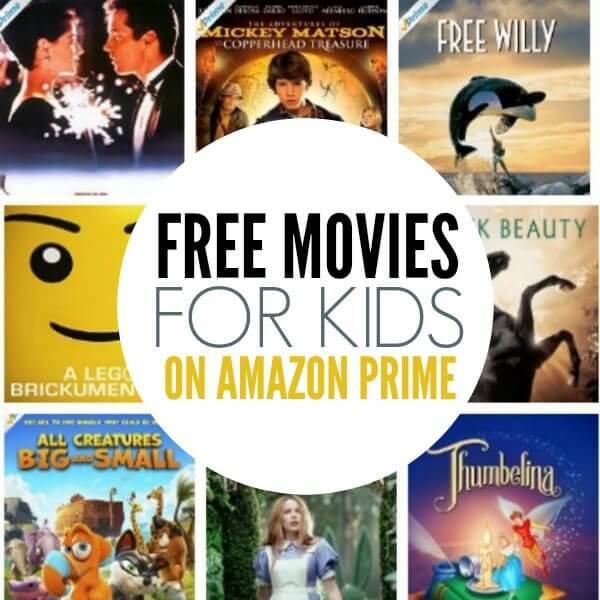 You can see all of the best free movies on amazon prime for kids here. You can search for G-rated, PG and PG-13 very easily. This is so handy if you have children of various ages. 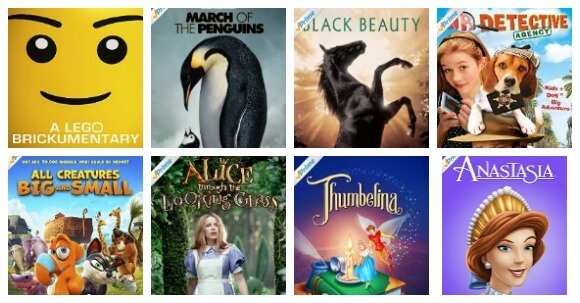 There are so many different family movies on amazon prime to choose from! We love Amazon prime kids movies. It’s nice to be able to watch something for free and enjoy time with your family. It gets so expensive going out. This option is budget friendly and from the comfort of your home. Definitely a plus! Remember, find all the best movies on Prime through your Amazon Prime membership. You can sign up for a free 30-day trial membership here. The free trial is a great way to see if you like. I’m pretty sure you will though. 🙂 If you are already enjoying Amazon Prime, what is your favorite feature? There are so many great features to enjoy!